Inevitably, there are many questions that arise when tragedy strikes. There are more questions that raise themselves over time. An injury claim has many facets. Obviously there is the compensation aspect of any injury claim, but often other concerns are involved, such as medical care and transportation expenses, potential criminal liability, the harmony of the family, and the fears about what can happen if the family "bread winner" loses his/her ability to earn money. Rather than try to answer every question that might arise after an accident, we have tried to address some of the most common questions that people ask in these scenarios. 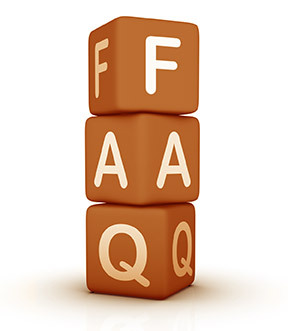 If you wish to have additional questions answered with no obligation whatsoever, please contact the New Orleans lawyers and law firms on this page and throughout this site. Qualified Louisiana personal injury lawyers are here to answer your questions even if you ultimately choose not to hire them. When you seek the help of a New Orleans personal injury or accident attorney, the power is in your hands. 1. Why is it a good idea to hire a New Orleans Personal Injury Attorney? 2. How do I know whether I should sue someone? 3. How much money will I get in a Louisiana Court? 4. How much does a New Orleans Personal Injury Lawyer Cost? 5. Can I sue if my family member was hurt or killed? 6. What do I do if someone killed a family member? 7. How do I pick a good Louisiana Personal Injury Attorney? 9. What is this Direct Action statute I keep hearing about? 10. 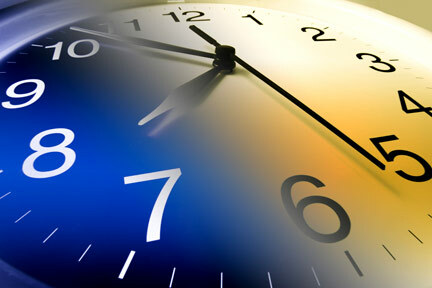 Is there a time limit for Louisiana Personal Injury cases? 11. What is the difference between a lawsuit and settling a case? Personal injury lawyers provide legal services to people who have been hurt physically, psychologically, or financially. Personal injury attorneys represent clients when an injury results from negligence, recklessness, or willful wrongdoing. Additionally, an experienced personal injury lawyer will know how to navigate the legal system, how to get you the best possible settlement, or to try a lawsuit in court. Your personal injury attorney can provide support, set up necessary doctors visits and preserve evidence, as well as find and prepare expert witnesses while preparing for a trial. Most importantly, you will need a personal injury attorney to advocate on your behalf. The legal system is often complicated and not designed for the average person to be able to use. As the old adage goes, "a man who is his own lawyer has a fool for a client." While no attorney can guarantee you results, the experienced New Orleans personal injury attorneys on this page know how to get you the justice you deserve. How do I know whether to sue or not? The law is usually quite complicated, often unclear, and sometimes even unsettled. Only an experienced attorney knows all the steps necessary to recover for your type of injury in the New Orleans area. It takes years of experience to understand the laws involved, but a qualified Southeastern Louisiana personal injury attorney can usually quickly evaluate your case and chances of recovering. 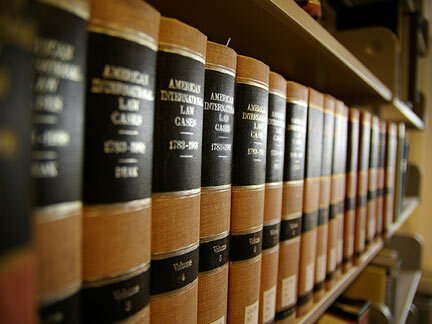 A New Orleans personal injury lawyer can also help you understand very difficult legal concepts. In General, Louisiana's law allows an injured party to recover from whoever hurt them. However, the specifics, exceptions, and rules to make this work fill books. How much money will I win if I sue? Because each case is different, there is no way to know how much you can recover without discussing your case with qualified New Orleans personal injury lawyer. Obviously there are many varying types of accidents and events causing varying injuries and losses. The extent and range of physical injuries and economic losses mean there is a wide spectrum of recovery. Occasionally, punitive damages are allowed to help deter others from acting in extremely dangerous ways. Most of the extremely high numbers associated with lawsuits come from these cases. Furthermore, many different types of insurance exist and all of them affect lawsuits in some way. Because recovery is an extremely complicated issue consisting of many smaller sub-issues, an experienced attorney must completely review the unique facts of your case to maximize your recovery through a settlement or at trial. A New Orleans, Louisiana personal injury attorney will work hard to get you the justice and compensation you are entitled to under the law. How much does a New Orleans personal injury lawyer charge to sue someone? Personal injury lawyers often don't charge their clients anything unless they win and recover money for the client. This type of payment is called a contingency fee agreement and is very helpful to injury victims and their families, who often can't afford attorney's fees after an accident. A typical contingency fee compensates the attorney at 33% of any recovery they obtain for the client; however, in some cases, state statutes set caps on the contingency fee an attorney may charge in a particular type of case. The bottom line is that if you do not get paid, you won't owe your attorney anything. This not only minimizes out-of-pocket expenses, but it also assures that a quick and complete recovery is in your lawyer's best interest. Your personal injury attorney will discuss payment with you during your initial consultation. There is no charge for the initial consultation. My family member was injured. Am I allowed to sue? Of course the injury victim may bring a claim for damages against the party at fault, so long as they can prove legal fault, causation, and damages. However, in Louisiana, family members and bystanders may also sometimes bring claims for damages in certain cases. For example, a claim for negligent infliction of emotional distress (NIED) or intentional infliction of emotional distress (IIED) may be available where a close family member witnesses an injury being inflicted upon their loved one. Similarly, immediate relatives can recover in a wrongful death action if another party's negligent or reckless behavior caused their loved one to die. Similarly, a spouse may seek recovery for loss of consortium in personal injury or wrongful death cases. An experienced Louisiana personal injury attorney will be able to counsel you as to who may bring a lawsuit after a family member is injured. My family member was killed because someone was negligent. Can I take the people who did this to court? Usually, the parents, spouse, child or estate of the person who was wrongfully killed is allowed to bring an action for wrongful death. If the case involves a child bringing a wrongful death claim for the death of his or her parents, the child may need an adult guardian to help bring the action. Speaking to a local wrongful death attorney can clarify this issue. Further, a New Orleans or Jefferson Parish wrongful death attorney will be able to inform you if Louisiana law allows for other family members or legal dependents to file a wrongful death action on behalf of the deceased. How do I know which lawyer is the best? Choosing the right attorney is what Dot Co law is here to help you do. While any attorney might be able to help you pursue a personal injury claim, the attorneys advertised on each of our pages specialize in a particular area of law. As a result, they will be more familiar with the procedures and complexities involved in your case. In choosing a lawyer there are several factors for you to consider. First, you should consider whether you want an attorney that works at a large, mid-sized, or small firm. Next, you should have a consultation with a few attorneys to determine which you feel most comfortable with. After narrowing down your choices, you may wish to ask the attorneys for professional references who can tell you about the attorney's work. These references may be from other attorneys who practice in the area or clients who the attorney has helped in the past. Finally, check the lawyer's Martindale Hubbell AV rating before reaching your decision. Choosing an attorney is an important decision, and Dot Co lawyer strives to include only the highest quality lawyers specializing in each area of the law to make your choice easy. The box on the top left of this page lists qualified attorneys in the area. What is a negligence claim? Negligence is one of the most important concepts in personal injury law. Negligence serves as the basis for most personal injury lawsuits in Orleans and Jefferson Parishes and is basically the failure to meet a certain standard of care. The law establishes certain duties or standards of care applicable to various different situations, and when a person acts carelessly and departs from the applicable standard of care, they are deemed negligent. In order to prove a claim, a plaintiff (the injury victim) must demonstrate that the defendant (the person being sued) had a duty to the plaintiff, that the defendant breached that duty by failing to conform their conduct to the required standard of care, that the defendant's negligent conduct caused the plaintiff's harm, and, finally, that the plaintiff in fact suffered some cognizable harm or injury as a result. An experienced New Orleans personal injury lawyer is familiar with these concepts and can help you prove each element necessary to show the defendant was negligent and should be held legally and financially accountable for your damages. What does Louisiana's Direct Action Statute mean for me? Louisiana has a unique law that allows an injured person to sue the insurance company of the person who injured them without first suing that person. This is rarely allowed anywhere else. The reason that the Direct Action Statute is so important is that a person defending a claim, whether it be a property owner, a driver, or someone else normally defends their claim in court with the help of the insurance company. 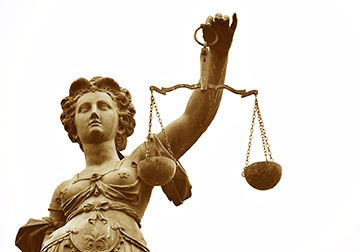 A jury is less likely to return a large verdict against a person. They think that the other person will be responsible for paying and that no matter how injured you are, no one expects another person who hurt you to pay millions of dollars. However, most juries are much more willing to give an injured person large amounts of money when the party paying is not a person, but rather an insurance company. People generally do not like insurance companies. However, insurance companies have good lawyers, and you will need an experienced New Orleans personal injury attorney to fight for the compensation you deserve. As a general rule, almost all personal injury claims may be filed up to one (1) year from the time of injury under something called a period of prescription. However, there are several exceptions to this rule, generally where a specific law applies to the case at hand, and the period may be either shorter or longer. When a personal injury claim involves an injury that develops over period of time, such as an occupational injury, then the claim generally must be filed within one year from the time the injury victim or worker knew or reasonably should have known of the injury. Finally, the limitations period may be extended in certain other personal injury cases, such as when the victim is a child. In such case, the law may state that the period of prescription does not begin to run until the child's eighteenth birthday. You should always contact a personal injury lawyer well in advance of any legal time bar so that you do not lose your right to sue. Courts in Louisiana take the period of prescription very seriously. In fact, filing a case in the wrong court does not even count as filing on time and removing the case to a Federal Court will not fix that (887 F.2d 615). Even if you think you know where to file your claim and what to do, you should be aware that if you miss one step, a judge will prevent you from getting the justice you deserve. New Orleans personal injury attorneys are familiar with Louisiana periods of prescription and can begin work on your case immediately. There is no general rule and no statute to help you figure out whether your case will be settled by lawyers or whether it will go to trial; however, trials are becoming less and less common. Nearly 90% of all cases are settled before having to go to trial. A settlement is often advantageous because it offers much faster relief than the long process of organizing and conducting a trial. Also, insurance companies may want to settle with you or you may receive workers' compensation benefits without having to litigate your claim in a court. However, sometimes when a settlement offer is too low or other considerations are involved, going to court can be the better option. Louisiana personal injury lawyers have experience settling claims and litigating in both state and federal courts and will seek to balance your interest in receiving the maximum recovery with your interest in seeing the case through quickly and with the least interruption to your life.